It is with great pain and sadness that I share the news of the passing of an illustrious writer, a great son of Anambra State, Nigeria, and one of the pivotal influences on my life as a reader/writer. It was Chinua Achebe’s book, Things Fall Apart, that opened my eyes to the rich and varied culture of my people, the Igbos of Eastern Nigeria. I read it as a preteen in Nigeria and it left an indelible mark on me; it gave me a clear understanding of the importance of roles, rituals and respect in Ibo land. Ikemefuna and Okonkwo’s harrowing tale gave me both nightmares and a deep appreciation for the traditions and tribulations of our culture. Who could ever forget the power and magic of Achebe’s mastery of idiomatic expressions that remain a fairly ubiquitous part of every day speech in Ibo culture? Who could forget the quote above that laid the foundation to the title of his book? Or the opening paragraph in Things Fall Apart that introduced us to Okonkwo? I ate up Achebe’s words like candy, devoured all his other books, and developed a lifelong love for his writings. His Fiction echoed the messages passed on through our collective history and ancestral lineage. His words were stark reminders of what shaped ancient Ibo history and the legacy we could pass on. More below. It was Achebe’s books, his lyrical writing style, his deep understanding of Ibo traditions, and his skill at pulling the reader into his characters lives and homes that shaped my love for the written word. In some ways, he was like a mentor, a father, and a favorite teacher to me. I am deeply saddened by his death, and will always treasure what/who he meant to me. Chinua Achebe, 82, passed away after a brief illness. He will be terribly missed. My heartfelt condolences go out to his family in the US and Nigeria. RIP Mazi Achebe alala ụlọ Chineke. Ijeoma! Anyi na ebe akwa Umu nwanee Achebe Ndo o, onwu bụ ihe nwute. Chukwu dobe unu. Positive Motivation Tip: The written word is a powerful tool that can empower or destroy us. Use it wisely. 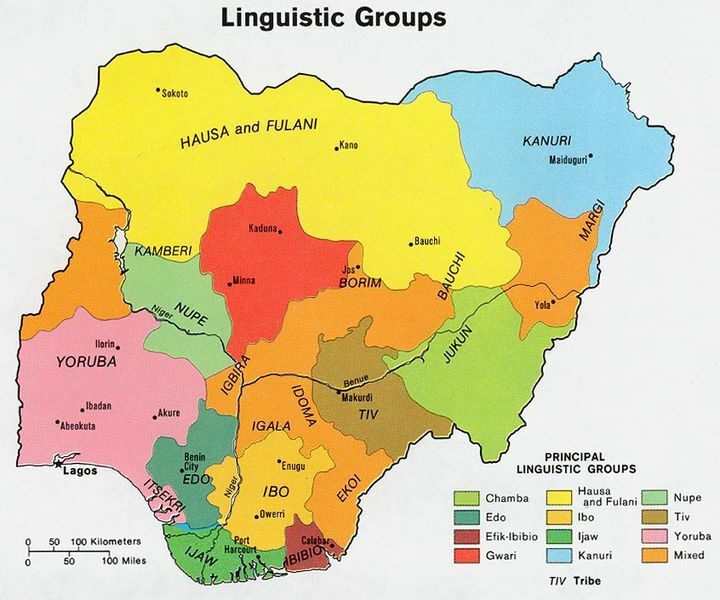 PHOTO CREDITS/ATTRIBUTIONS:All Photos: Things Fall Apart, Chinua Achebe, Linguistic map, Igbo People, via Wikipedia. Elizabeth, I read of his passing today. I’ve heard fine things about Things Fall Apart and hope to read it someday. Your tribute to him is touching. Thank you so much for your comment. What a lovely surprise to find you here. Please read Things Fall Apart when you have a moment. I knew he was ailing but had no idea it would end so soon. Honestly, I am heartbroken. TY Sunshine… It’s personal and a sad event for me. I’ve learned a lot from this event in ways I cannot begin to express. you’re welcome, Elizabeth…☼sunHUGS to you. Indeed he was. He was also a gifted speaker and teacher. I am not familiar with his work but will definitely have to look it up. Thanks for sharing Eliz. TY Miriam. If you go to Amazon or elsewhere, you’ll find his books. Let me know if you can’t find a copy. Sorry to hear about his passing. An amazing man indeed. His legacy will live on always. His legacy will live on and his family will move forward knowing he was loved and admired by many. TY! I’ll be looking out for his book. Sorry for his passing. Your Positive Motivation Tip. I reckon it’s good to keep this in mind when writing. Thank you, Eliz! TY Auntyuta! I appreciate your feedback. And the tip is one I remember hearing from a young age. I have taught one of his stories and each time I enjoyed the descriptions and adored the writer more and more. Glad you decided to pay tribute to him. TY Bindu! I’m pleased to hear that you taught his work in your classroom… How wonderful! A lovely tribute to a great man of our people Eliz, he changed so many lives. And what changes he lived through in Igboland even though he moved to America. It saddens me that I have no Igbo language and cannot understand your last two sentences. In Igbo: Mazi Achebe alala ụlọ Chineke. Ijeoma! Anyi na ebe akwa. Umu nwanee Achebe Ndo o. Onwu bụ ihe nwute. Chukwu dobe unu. The last two sentences translated: Mazi (an honorific title) Achebe has gone home to God. Safe Journey! We are crying for the Achebe family. So sorry o, Death is a sad event. May God comfort/keep you. Bless you Eliz, that means a lot to me. I hope you are feeling a bit better by now. I have just read Thing Fall Apart again and with far greater understanding this time and so I shall read more. My condolences, I am not familiar with his work yet will need to get acquainted with his work. TY for your feedback… You won’t be disappointed. Feel free to ask me any questions when you do. So glad you honored a literary luminary. His legacy will keep his commentary and insights alive. TY Sally and forgive my long silence here. He was a giant of African Literature and will be missed by many. I will stop by soon to congratulate you on your FP! Kudos lady and well deserved. TY Peter and I understand… There are popular authors out there that I learn about daily… I do appreciate your kind words. Sorry to hear of his passing Elizabeth. Your tribute is admirable! Sad to hear about his passing. His book is in my “not yet read” shelf. I think I’ll take it out now. TY for your kind words… Let me know what you think when you read it. Which book do you have? Things Fall Apart. My daughter passed it on to me after she had read it. Beautiful tribute, Elizabeth. Thank you. 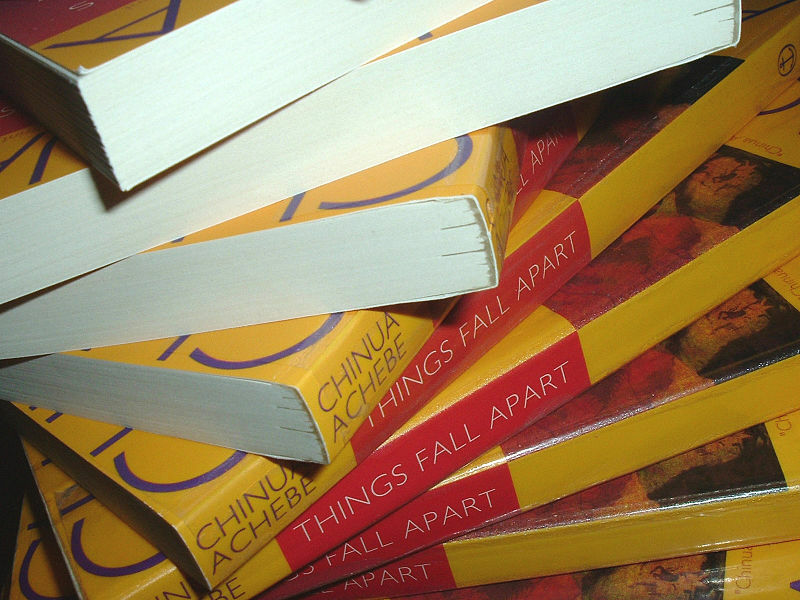 Like you, I was touched by Things Fall Apart. It was my introduction to the rich literature of Africa and left an indelible imprint on my teenage mind. I knew I had to attend the PEN American Center’s 50th anniversary commemoration of its publication in NYC a few years ago. It was such a lovely evening with authors such as Chris Abani, Toni Morrison, Edwidge Danticat, Chimananda Adichie reading tributes. When he took the podium, he talked about writing the story and sending the manuscript — his only copy — by mail to the UK, something that wouldn’t even be considered today. I was fortunate to meet him, his wife and several members of the Achebe family when he received the Gish Award in a beautiful ceremony in NYC about 3 years ago. When I heard the news yesterday, I called one of his colleagues and close friend to pass on my condolences then I went immediately to my library to find Things Fall Apart. I have to read it again. RIP, Chinua Achebe. You have left us that much richer by your stories. TY Debra! He was very much a man of the heart too… true, very sad. I read Things Fall Apart when doing my degree and fell in love from my toes up to the hair on my head with the man and his words…what a sad day. Hi Jo! TY for your comment… great description too and just the way his books touched me too. I too will miss this gifted writer who could break down barriers and teach us all lessons on the richness of Ibo culture, the value of traditions, each person’s role in society and yes, even tolerance and respect. Thank you for this tribute. Yes, Lynne. I echo your sentiments too. Well said. Well lived. TY! I know it’s nothing like Freshly Pressed. Thanks for being there. Hi dear one! You know I’ve been on hiatus. Forgive the silence, it’s not personal and I’m always happy to read blogs FP or not. TY and I’ll stop by and read it asap. No offence taken. Do take care. OH wow. I love that book and hadn’t heard he passed away. Your profile here is such a wonderful tribute. Thank you!! TY Naomi! Honestly, I was too heartbroken to write more, but other more capable writers shared his life story and so there is much on the internet to read about him. For me, it was very personal. what could you have done more than to write this wonderful tribute to Chinua Achebe! I remember taking a summer creative writing class and we had to read Things Fall Apart and after the reading our teacher gave us a topic and we had to emulate his style. Since then I have probably read it half a dozen times and with each read I learn more and appreciate more. Thanks for this tribute! Like you and many others that are familiar with his writing I was truly saddened to hear of his death. I see so many young people discovering his work now and I hope they learn that he was a very profound and prolific writer. May he rest in peace. True… and I do hope they use it as a way to reconnect with their own family history and legacy. TY! I have to admit I have never heard about Chinua Achebe, but from your post I understand I need to look him up and probably read the book Things Fall Apart. Thanks for sharing even though these words also come with a sad message. Nevertheless a beautiful tribute to Achebe. TY Munchow! I appreciate your comment and hope you find time to read it. I’d be curious to know what your think, and feel free to ask me any questions too. Such a heartfelt tribute Eliz! Like Munchow above, I haven’t read any of Achebe’s works, but I hope to set that right ASAP. TY Madhu! I really appreciate the kind words all of you are sharing here. Please read his book(s) and ask any questions as I’d be happy to answer them. TY Cee! So true. And there are so many of us out there for sure. I only read his one book–Things Fall Apart–through my children, but it became one of those tomes I referred to often. Partly for it’s lessons and often, too, for his open, easy writing style. I’m saddened by this. TY Jacqui! I’m glad your children introduced him to you. I’m delighted that you referenced it too… It is the most popular of his writings and required reading in African Literature classes. I didn’t know he had passed on. So sorry to hear it. Thank you for another very interesting post. TY Naomi for your kind words and I truly appreciate the feedback… Finally on the road to catching up. I’m not familiar with his writings, Elizabeth, but thank you for bringing him to my attention. We must always mourn the passing of a great person. May his soul rest in peace. Oh Adin, you are such a beautiful soul… Thank you for your kind, wise words as they are the words are elders would speak at home… TY!